Friday 07/22 we bring back our most popular night The Came Down! From Open to Close expect nothing short of a night of candy-painted music about gripping wood grain and swangin’ lanes. We celebrate the rap legends from Houston and elsewhere in Texas with DJs BEATSMODE and Trill Scott Heron. 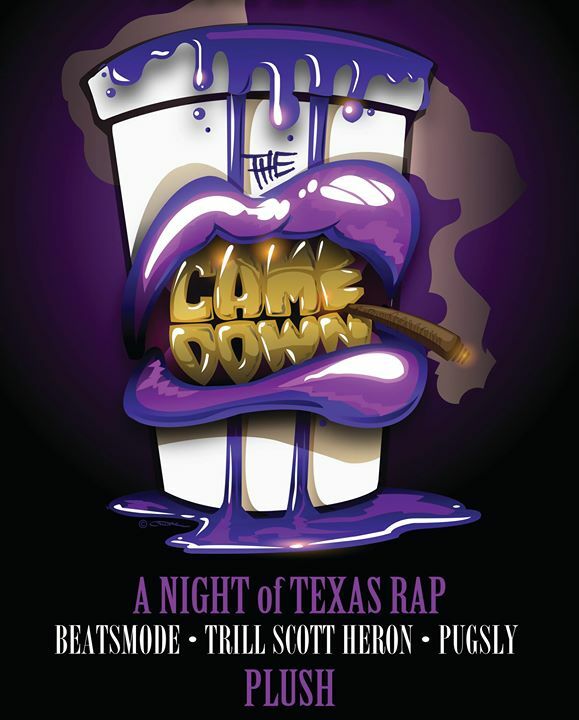 The first hour will consist of some of your chopped & screwed favorites and $2 Wells! After that we hit all your favorite jams from rappers like Z-Ro, UGK, Lil Keke, Fat Pat, Freestyle Kingz, and the like. Don’t hesitate to drop by Plush ATX this Friday. You haven’t Came Down until you come down and do The Southside with us!